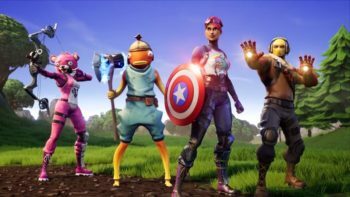 Vehicles have slowly made their way to Fortnite Battle Royale in the last few seasons. 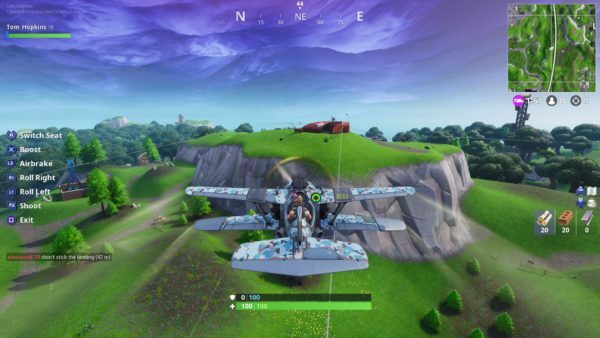 Now, Season 7 has added the X-4 Stormwing Plane, alongside the iceberg that has crashing into the island. 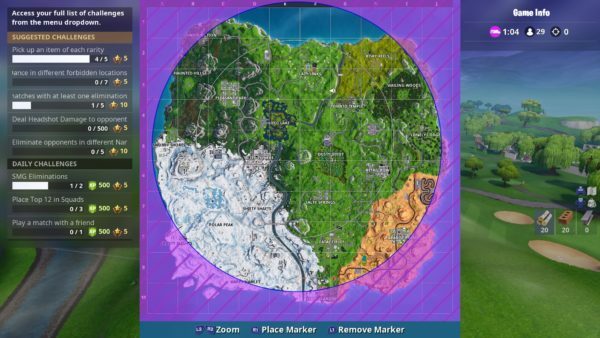 Here’s everything you need to know about the X-4 Stormwing Plane locations in Fortnite Season 7. The X-4 Stormwing Plane will likely be very helpful in Fortnite because it can carry up to five people. There will be one person flying it, with four others perched on the wings. There a machine gun mounted on it too, so you can fire at enemies from above or protect yourself as you’re trying to escape. It can overheat, though, so don’t over do it on the shooting. It’s also pretty nippy, allowing you to turn left and right quickly with the push of a button, barrel roll with a double tap of that button, or boost/air brake away from danger. If you’re simply using it as a means of quickly travelling to a different section of Fortnite’s map, you will skydive out of it once your eject yourself, just as you do from the battle bus. 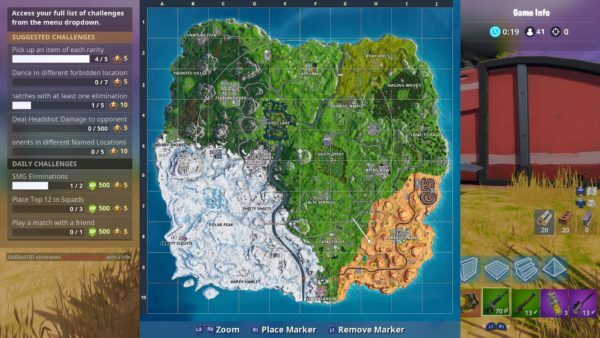 As for where you’ll be able to find the X-4 Stormwing Plane once you start playing Season 7, we have listed all the locations we have found so far down below. They’re quite easy to spot because there will usually be a couple of planes at each location, and there will be a red topped building next to them. The first one we found was along the western edge of the desert. Just on top of a hill as you’re heading in land, you’ll see a red building with some X-4 Stormwing Planes, in square H8. Next, we found one out towards Lonely Lodge, up on a hill to the west of that location. As you can see on the map below, it’s in the top left corner of sector I5. Next, there’s one just by the river that runs from the north of the map, down to loot lake. If you check between Lazy Links and Tomato Town, about mid-way between the two, you’ll find a plane centre. Then, there’s another on top of the hill just north of Pleasant Park. You’ll have to climb a bit, and there are some ziplines coming from it, but it’s a good place to take off from. 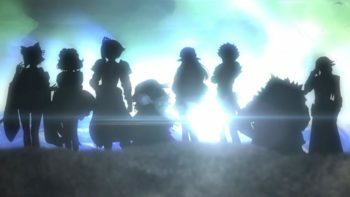 We will be sure to update this piece as we find more littered around the game’s world. 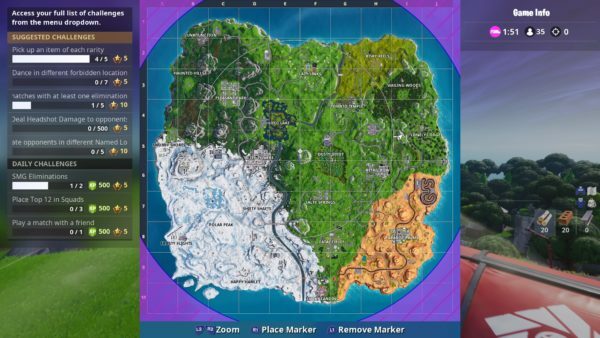 That’s everything you need to know about the X-4 Stormwing Plane locations in Fortnite Season 7. 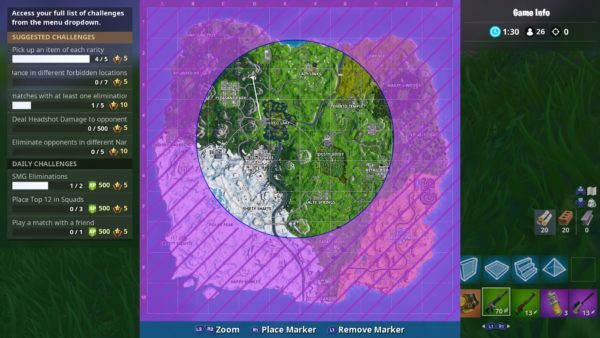 For more tips and tricks on the game, be sure to check out our Fortnite Season 7 wiki guide.